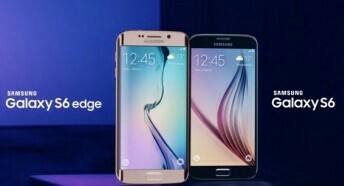 If you use Samsung Galaxy S6 or the S6 edge, you should get a system notification waiting for you. Samsung has started pushing out security patch update for both the Galaxy S6 and the S6 edge for the month of June 2017. According to the company, the security update is said to fix Android security issues and threats for the month of June 2017. The update will be arriving as build number G920FXXS5EQF9 for the Galaxy S6 and G925FXXS5EQF9 for the S6 edge, respectively. For now, there's no detailed change-log available for this update. According to source, the update is said to fix some minor bugs on both devices, and also include some system related enhancements. Recently, the Samsung Galaxy S7 flagship duo also got the June security patch. Nothing like this on Tecno @ kachi?